Bats are considered beneficial animals, in certain situations bats, however, pose a threat to human health. Histoplasmosis is a disease associated with bat guano and bird droppings. When droppings accumulate, a fungus (Histoplasma capsulatum) can grow and produce spores that may cause histoplasmosis when inhaled. We don’t trap bats. We remove and prevent bats from re-entering your structure. 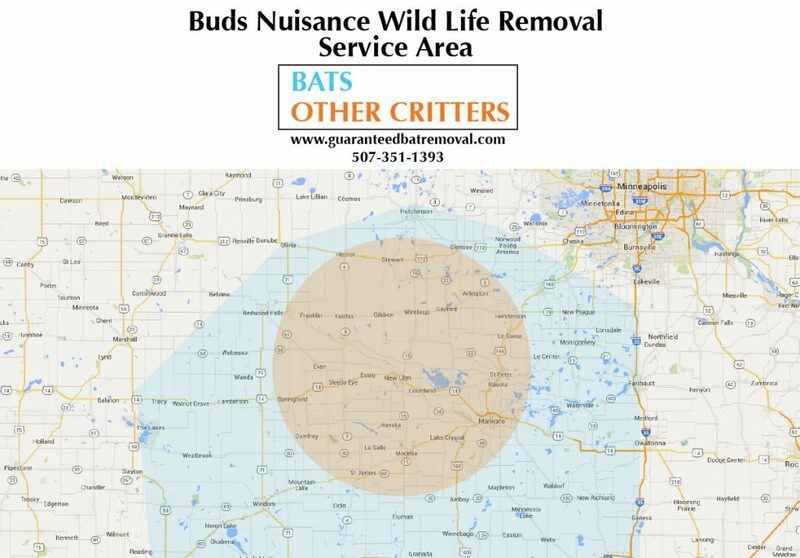 We have the experience to handle any bat concern that you may have. 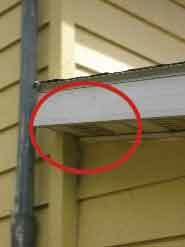 We correct the exterior gaps and cracks to prevent bats from re-entering your home or attic again. 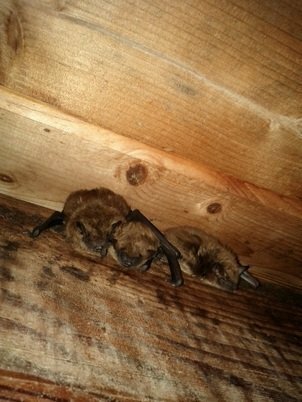 We take bats in attics seriously and you can be confident when you call us for an inspection of your home, and hire us for any wildlife control problem. We trap, remove and control all problem nuisance wildlife species, whether they walk, crawl or fly — we do them all. If you have a bat control problem, we inspect every inch of your home and find all the exit and entry points causing your bat concern. We offer a complete wildlife control inspection and we provide full service wildlife control for Southern Minnesota. Our complete services are listed on the right. Bats are beneficial in that they eat mosquitoes and other troublesome insects. However, they can be a source of diseases like rabies so it is important that they be excluded from buildings where humans might contact them. The first step to correcting a bat problem is finding how they got into the home and then repairing the damage and making your home bat proof.